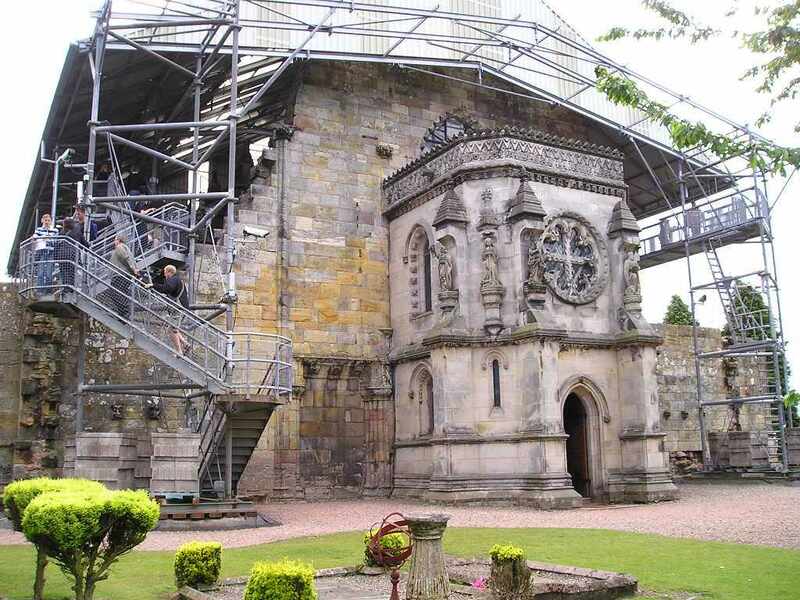 Rosslyn Chapel, or to use its correct name, the Colligate Church of St Matthew isn’t Templar, it was founded in 1446 whilst the Knights Templar were formally abolished in 1307. The name comes from Scots, Ross and Lyn meaning a promontory and a waterfall not from Roseline. 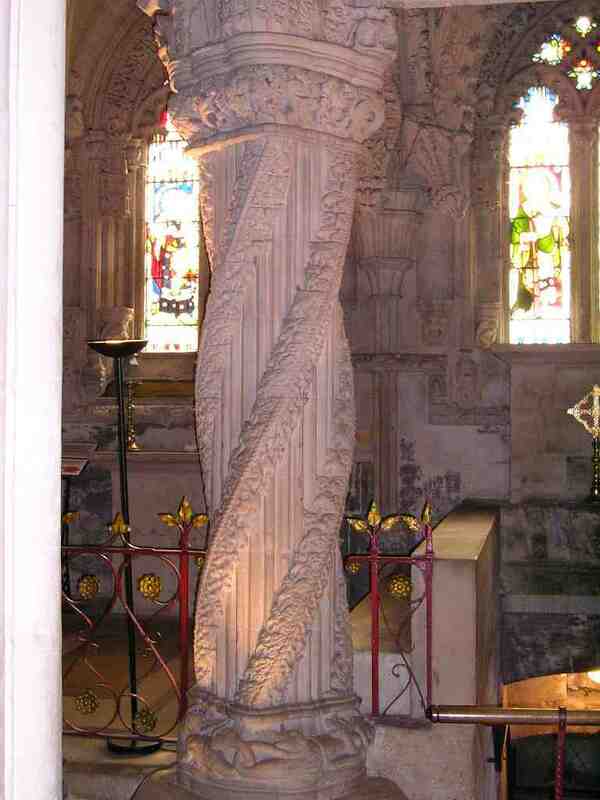 It’s a typical size of a chapel or parish church, not a copy of Solomon’s Temple. The star or more correctly Shield of David (Magen David in Hebrew) was not used by Solomon, but is a much later Jewish symbol., nor is it found in the chapel. Remember Dan Brown’s book is a novel! 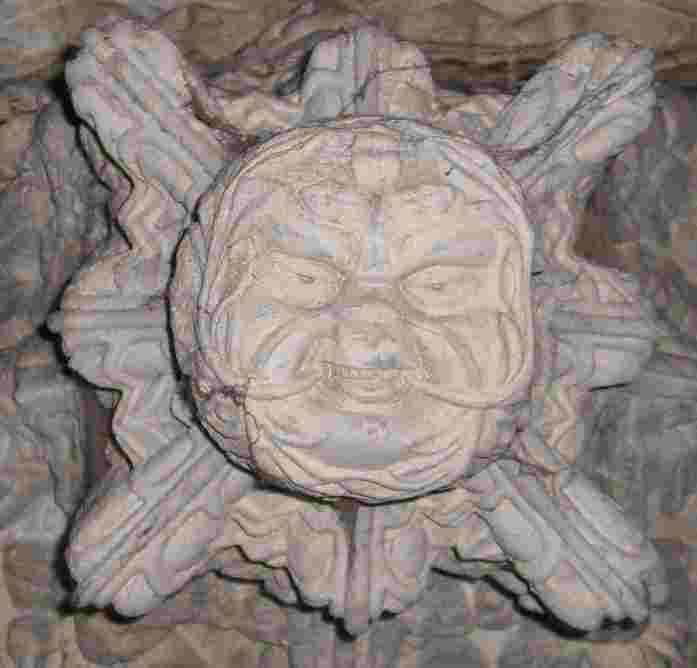 There are about 106 greenman images within the chapel, most smaller than this one. 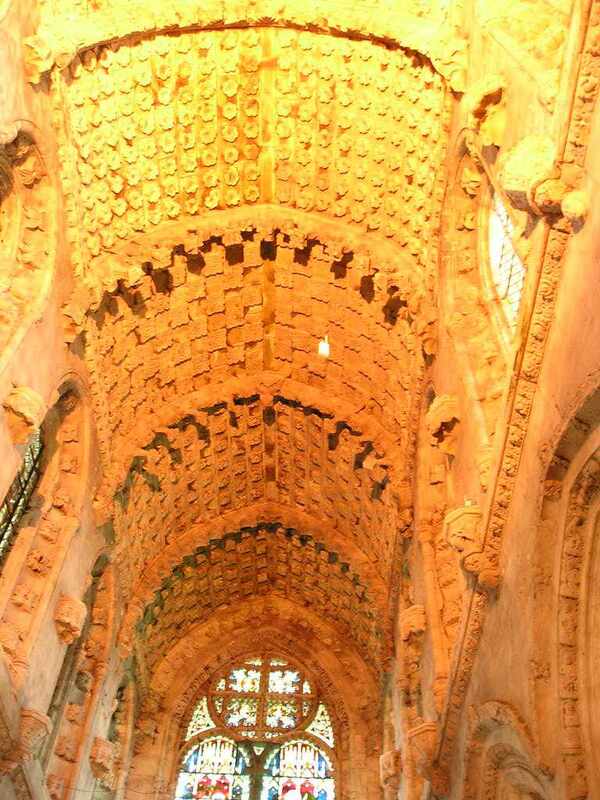 But this pagan image is common in churches, take a walk to York Minster Chapter House and you pass an avenue of them! 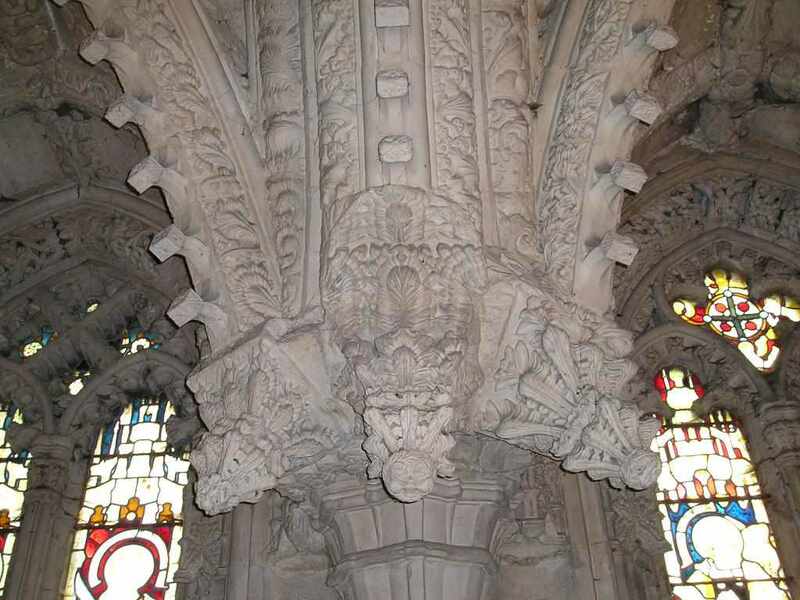 The chapel is small and certainly beautifully carved, it’s an architectural gem, but is it really more than that? The uncompleted wall has nothing to do with the ruined west wall of the temple. The Temple of Solomon had been destroyed many centuries ago, the existing Western wall, ‘Ha Kotel ha ma’Aravim’ in Hebrew is simply a retaining wall to the enlarged mount Moriah on which the Temple of Herod the Great stood. 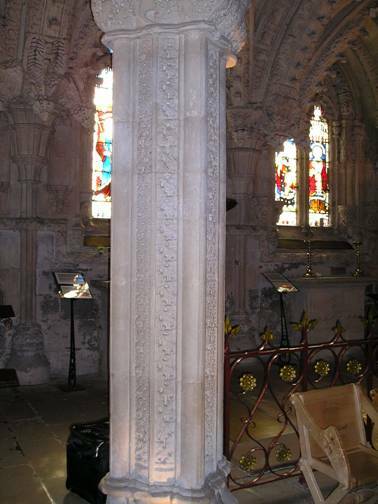 You can see the blocked entrance with two pillars which would have been used had the whole church been completed. These two pillars may be Masonic, but certainly aren’t exact replicas of those brazen pillars in Solomon’s temple, please read their description yourself and compare. The one on the right was probably inspired by Viking mythology, the St Clair family being of Viking descent. As for the Holy Grail in the crypt – no more please!